Knitted, seamless safety gloves made of different types of thermal yarn. They ensure increased comfort of work with low temperature object (e.g. frozen foods) and protect hands both against convection and contact cold. At the same time, category II gloves ensure protection against mechanical injuries. Cellulose fibre is additionally characterised with high steam permeability and drains the humidity off, ensuring excellent comfort for the skin of hands. We offer the possibility to place logo of the customer on the product. Version with PVC dots on the inner side of the palm (letter V in the product symbol) improves the grip and facilitates handling of objects. 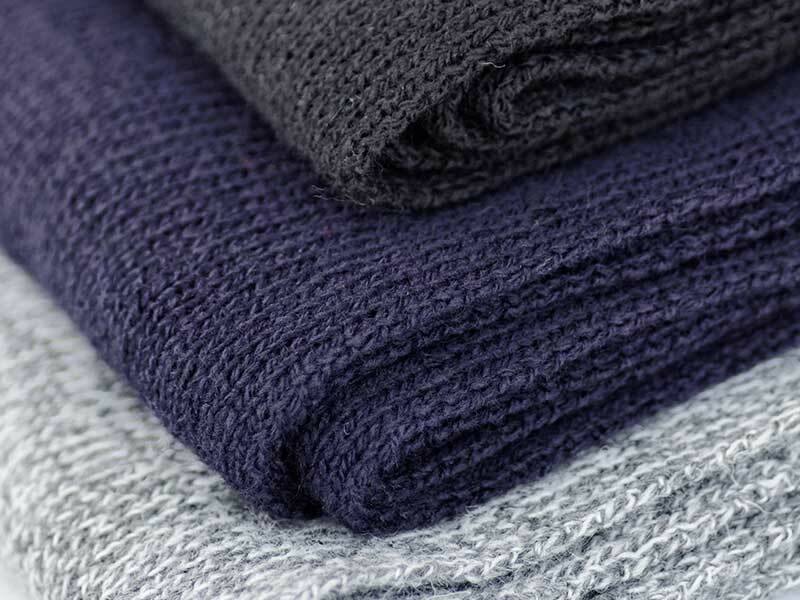 Our offer includes wide range of knitted fashion products, such as gloves, hats and scarfs, coming in different models and made of different materials. Standard products are black, but we can manufacture a wide range of other colours at the customer’s order. We also offer the possibility to place the logo of the customer on the product or manufacture product with material supplied by the customer. Products of this group are widely used for open air works in adverse weather conditions, e.g. in assembly, transport, construction works, property protection, all kinds of cleaning works, and in cold rooms.